Obituary for Mr. Ronald "R.D." 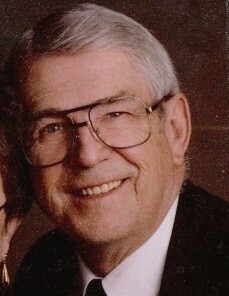 Swanson | Hinchliff-Pearson-West, Inc.
Mr. Ronald “R.D.” Swanson, 84, of Galesburg, Illinois died 2:47 a.m. Palm Sunday, April 14, 2019 at his home surrounded by his wife, Marlene Kay and his loved ones. He was born March 20, 1935 in Galesburg to Fritz and Helen Swanson Conlon. He was the last living of his seven siblings, DeWayne, Dorothy, Lucille, Betty, Anna Mae, Bob and Jim. R.D. and Kay were married June 4, 1955 and enjoyed almost 64 years together after meeting at the Knox County Fair Rodeo. R.D. was riding his horse, “Rusty” and it was love at first sight for him and Kay. They raised four daughters, Melanie Loane (and David Friend), Karen (and Jim) Swedlund, Deborah (and Jeff) Roberts and Staci Tharp. Their grandchildren are Melissa (and Jessica) Wheeler, Jason, Jeremy and Justin Roberts, Laci Swanson (and Jordan Lieber) and Kaci Tharp. They also have three great grandsons, Jalon, Jaxon, and Ja’veon. Also, nieces and nephews, Kris (and Steve) Russell, DeAnne (and Mike) Budde, Barry (and Gail) Swanson, Kelly (and Brad) DeJongh, and Stuart “Bo” (and Andrea) Swanson. He was preceded in death by two nieces, Tracy Valero and Linda Hoffstatter. R.D. was a 1953 graduate of Knoxville High School and entered the U.S. Navy after graduation. Following his time in the service he farmed in Woodhull, Illinois for ten years and then began his career at Burlington Northern Railroad. After 30 years as a conductor, he retired in 2000 and made so many great, loving friends. After retiring, he and Kay moved to the Branson, Missouri area for 15 years where he worked at Dixie Stampede taking care of the horses and the Titanic Museum. There he also made so many amazing friends. They returned to Galesburg where he again returned to his farming roots, helping his son-in-law, Jim. R.D. never met a stranger and if he came into a room, by the time he left, you were sure to know his beautiful smile and easy laughter. He made friends for life through his work and Shrine. He was always willing to help anyone without even having to ask him. Cremation will be accorded. Visitation will be 9:00 a.m. to 11:00 a.m.Friday, April 19, 2019 at Hinchliff-Pearson-West Funeral Directors and Cremation Service Galesburg Chapel. Masonic service will follow the visitation at 11:00 a.m.on Friday at the chapel. The funeral will follow the Masonic service. Burial will be in Oak Lawn Memorial Gardens, Galesburg with Military Honors. Memorials may be made to the Shriners Children’s Hospital or to Beacon of Hope Hospice. Online condolences may be made at www.h-p-w.com.